The Robinson School, with 112 years of service to Puerto Rico, recently opened three innovative science labs with educational stations, renewed their café with a large terrace and rehabilitated several green and recreational areas. The Robinson School has a total enrollment of 590 students. 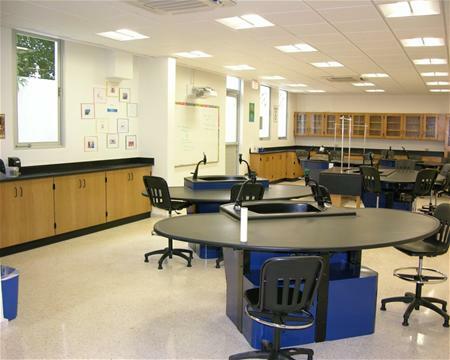 As part of the renovations, the seventh through twelfth graders will enjoy these three new science labs, which allow for collaborative team learning among the school, consistent with the philosophy of the International Baccalaureate (IB, for its acronym in English) which promotes greater knowledge and deep thought based on an analytical, creative and reflective development among students.